Island Resort 'Senaga Island' is surrounded by the Sky and Ocean. It is loved as the God's Island, Island of History, and the Island of Love. 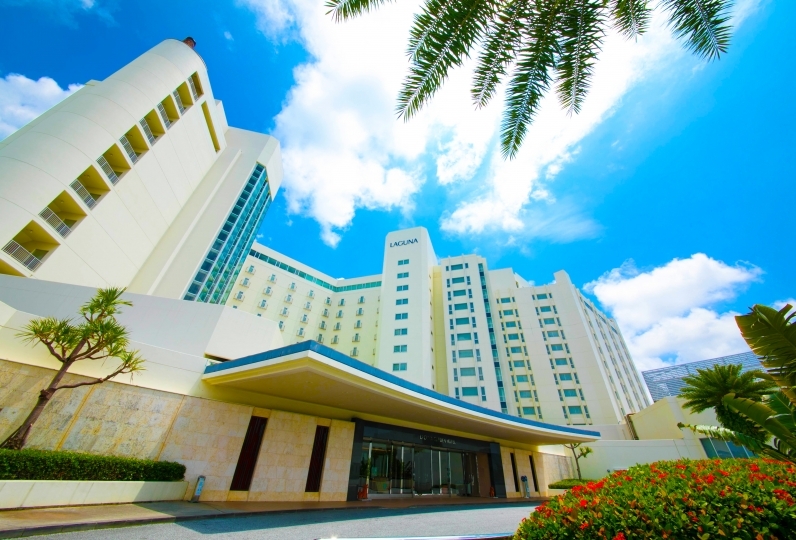 Ryujin no Yu uses hot spring water drawn from a hot spring located 1,000 meters below the ground and the only hotel bath in Okinawa that offers the view of the sun setting over the ocean and the Okinawa airport. 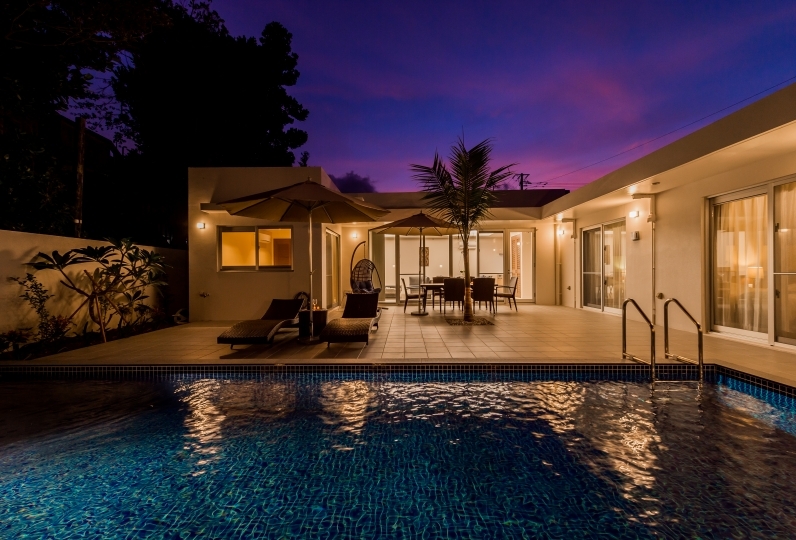 this is a room with various locations that makes it possible to stay one rank above the norm. which has reigned in Senaga Island. 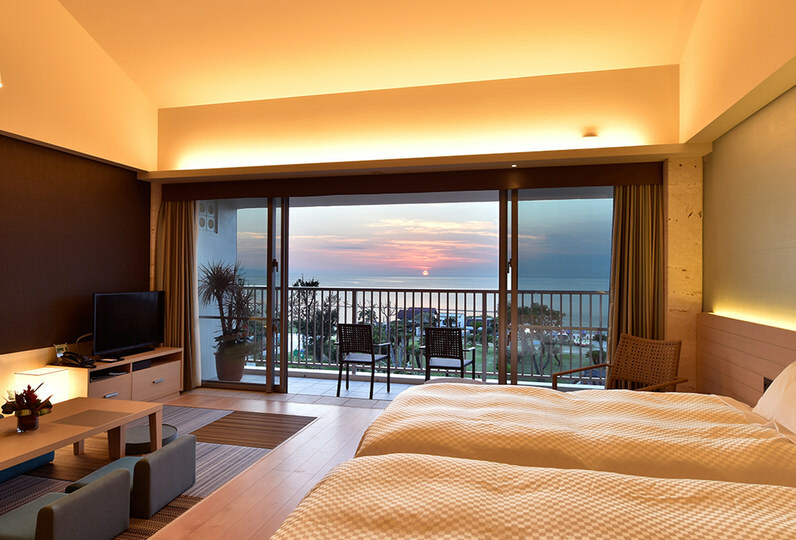 Enjoy the ocean view of the East China Sea that Anjina Shinaga has looked upon. 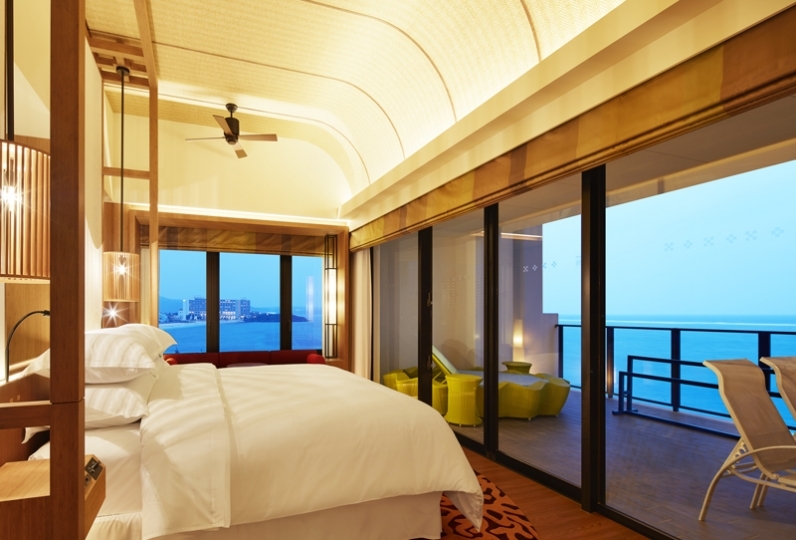 The Japanese-Western room has tatami and is equipped with an open-air bath. Why not be healed by the sun setting on Kerama Islands while stretching your legs. 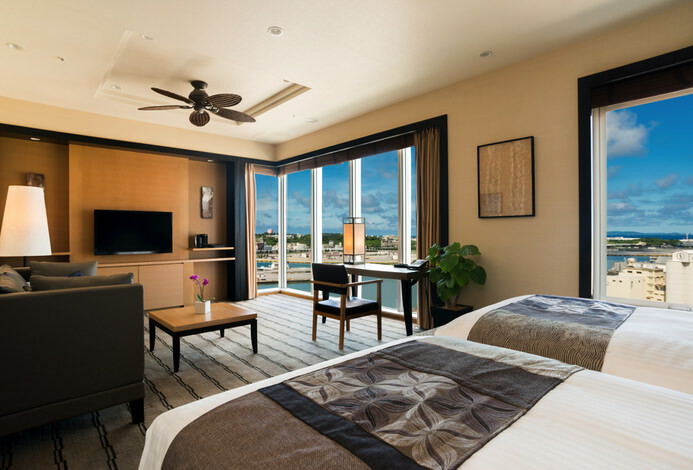 From the restaurant Kajina, you have an uninterrupted view of Okinawa's magnificent west coast. 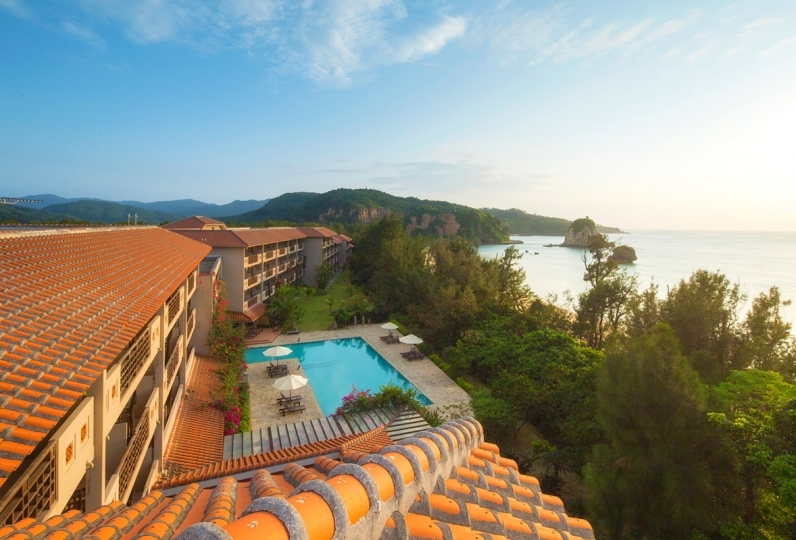 The head chef, known for his deep knowledge of Okinawan ingredients, creates for your enjoyment a variety of dishes. 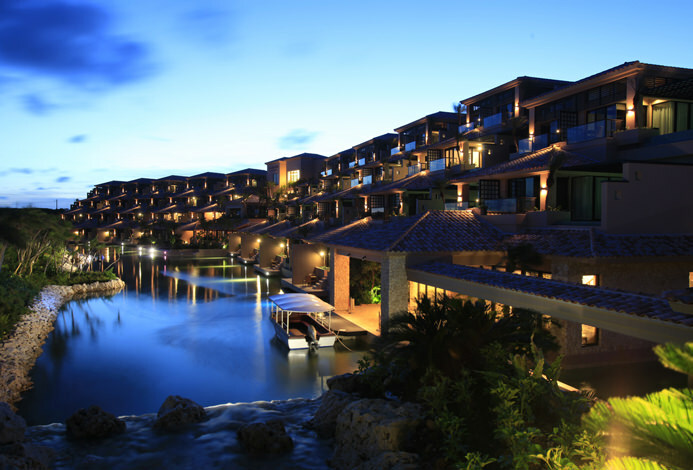 Exclusive to the hotel's guests is the Infinity Pool which reflects the blue ocean and the sky. Step into it and become one with nature. 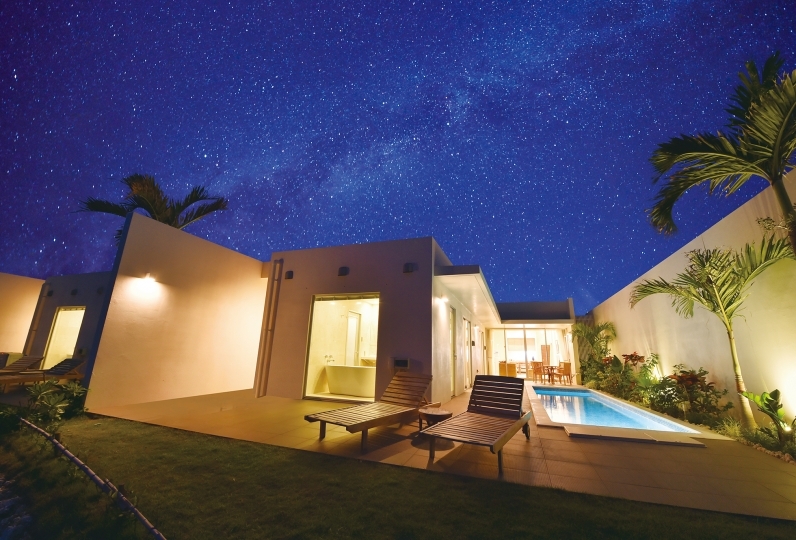 Enjoy a blissful resort stay at your own pleasure at this hotel that faces the West Coast and airport. Room with built-in stall vending machine has good view, excellent departure and arrival at the airport is superb. The poolside breakfast is satisfying with a good view and a pleasant setting. The breakfast itself is normal, but other facilities etc. are fulfilling, so I think that it is comprehensive. Thank you very much for the other day. Although I stayed only for one night, I got very nice memories. Additional pillow, sunrise time and other requests were handled with a smile, and it was a pleasant stay. The hot springs are also very nice and I first experienced Rowlieu, but it was very refreshing and I am very satisfied with the hot springs. I also wanted to disturb you again. If there was only one thing, I felt it was more comfortable if there was a side table between twin beds. 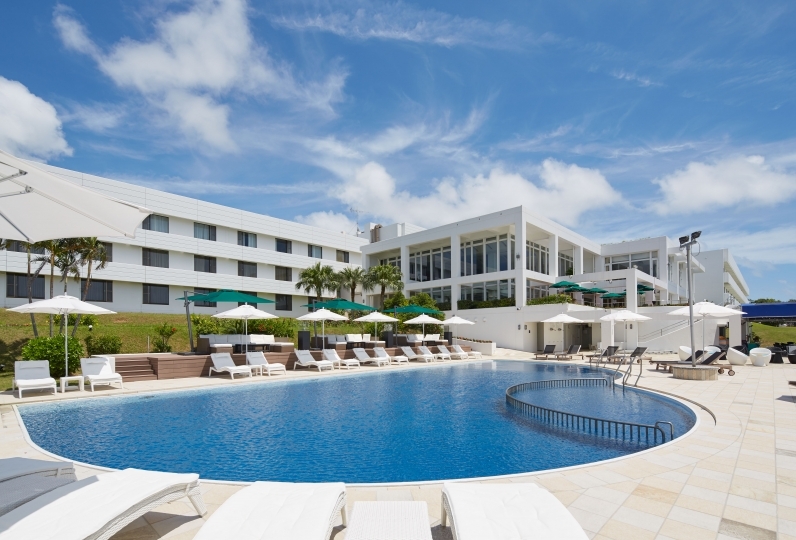 It was a really satisfying stay and I will bother you when I visit Okinawa again. There was no pick-up at the entrance when we arrived, there was no guide to the room at check-in. After all, I am glad if you can show me with baggage. However, the rooms themselves were very tasteful, there was also a sense of cleanliness, and it was a nice room. There were a lot of day bathing in the public bath, but because the bath itself is big, I did not mind, it was very good. As a general review, I would like to stay again on the last day of Okinawa travel. Japanese / Western / Ryuku style creative dishes that incorporate Wagyu from Okinawa prefecture, local seafood, island vegetables: Enjoy a wonderful dinner with Okinawa's awamori and wine. A bath that uses onsen water drawn from a source 1,000 meters below the ground. Because the water contains minerals that warms the body, locals call it "the onsen water of child bearing". 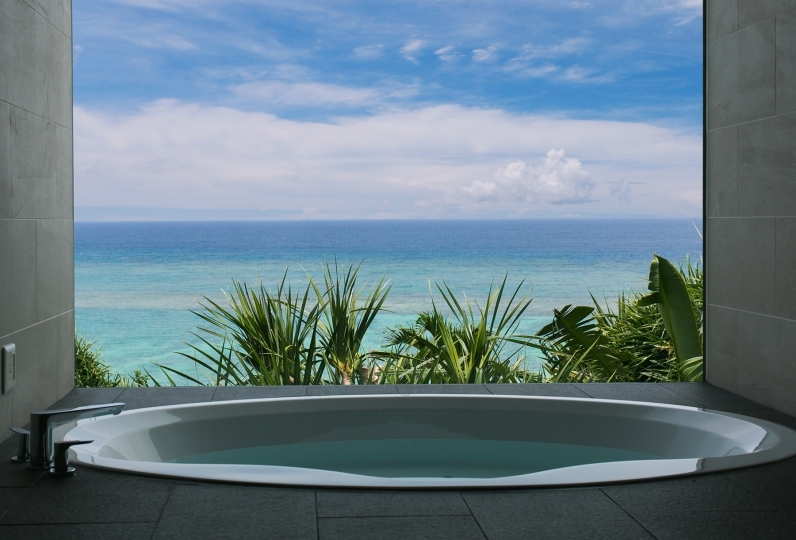 Be healed in a spacious open-air bath while viewing the magnificent ocean scenery of the west coast of Okinawa. 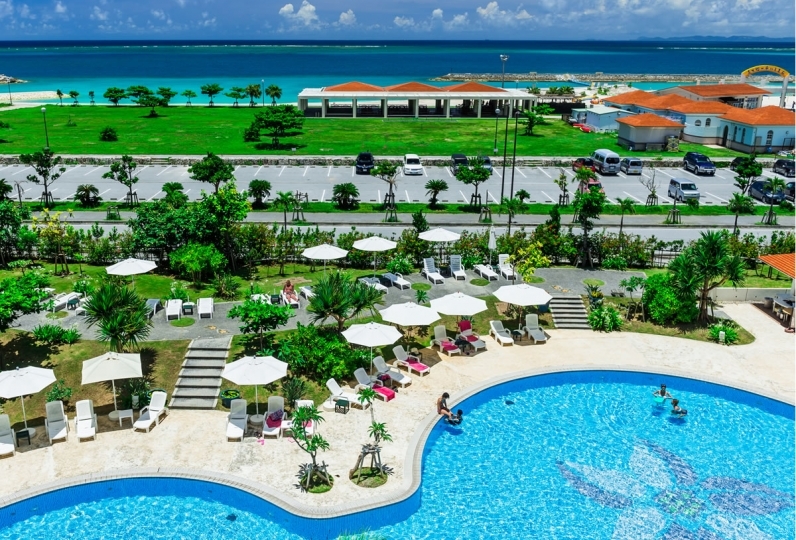 Ryujin no yu is the only onsen water open-air bath that offers bathers a from-the-ocean view of the sunset and the Okinawa Airport. A pool with no railings, it gives the illusion of being connected to the ocean. 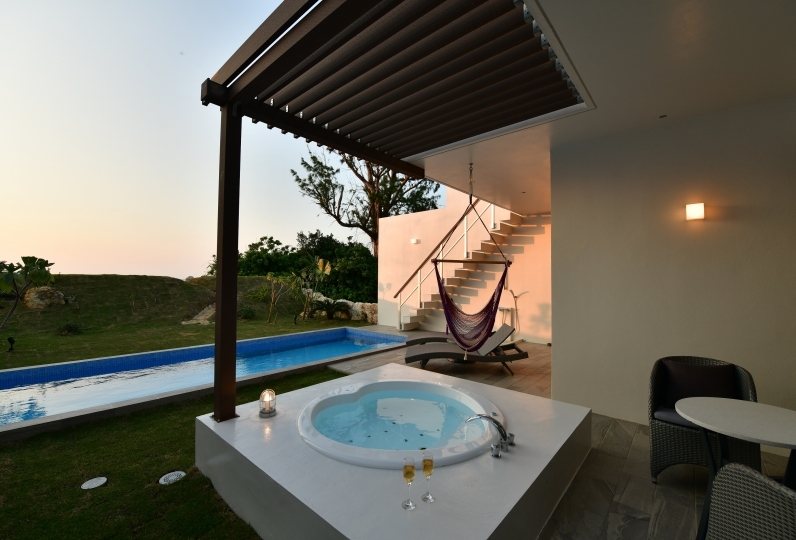 It is here where an extraordinary view of the sea, the west coast of Okinawa, and Kerama Island can be seen, letting you to feel you are one with the ocean. ※The period when the pool is open is subject to change. Please contact the hotel for more information. A treatment that use herbs of Miyakojima is among the various facial and body treatments that are available. Maintenance will be conducted on the following dates. We apologise for the inconvenience. 2018 22nd of November 1:00 ~ 4:00. ■15min. by car from Naha Airport. ※Take Route 58 towards tTomigusuku/Itoman. 2min. from the Senaga intersection. There is a free shuttle bus from Akamine station. In case you cant get on the first ride, you could get on the next one.